My Doc is a Medical Clinic for adult Internal medicine services. Pictured above is Dr. Osman Farooq. 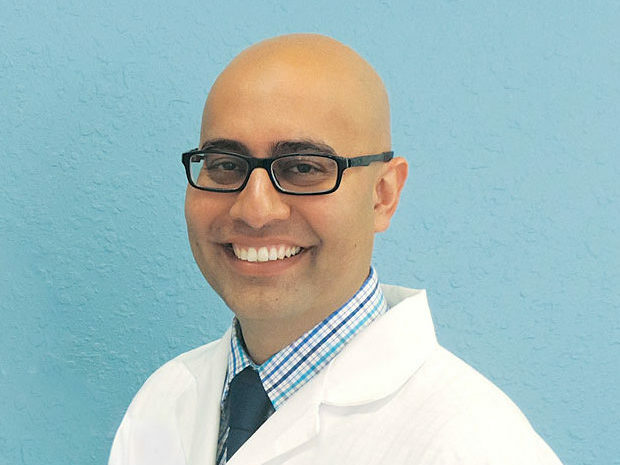 My Doc has been serving the Apopka area for almost two years, providing quality and affordable healthcare to the local community. Many patients who are members at My Doc are hard working people who cannot afford health insurance or have a high deductible out of pocket medical plan. My Doc founder, Osman Farooq M.D., was deeply troubled to see families struggling to have access to quality medical care due to rising costs. Dr. Farooq opened My Doc to give people access to quality and affordable healthcare through a monthly membership model. Patients can choose from three different membership plans starting at $59/month for a 12-month plan, $79/month for a 6-month plan or a $99/month for a 3-month plan. My Doc is not an insurance plan. They do not cover costs related to specialist referrals, urgent care, ER visits, hospitalizations, or surgical procedures. My Doc focuses on the prevention, diagnosis, and treatment of adult diseases like high blood pressure, diabetes, and cholesterol. They also treat common illnesses including, but not limited to, the common cold, bronchitis, sinus pain, and ear infections. My Doc is a revolutionary healthcare platform that allows its patients to take control of the cost of their healthcare. You can register online at www.mydoc.healthcare or call them today at 407-703-5984 to schedule your appointment. They also offer extended hours most days of the week, from 8:30 a.m. to 6:30 p.m. Monday through Thursday, and Friday they’re open 9:00 a.m. to 1:00 p.m.
My Doc is conveniently located in the Apopka Land Regional Shopping Center at 721 South Orange Blossom Trail in Apopka.